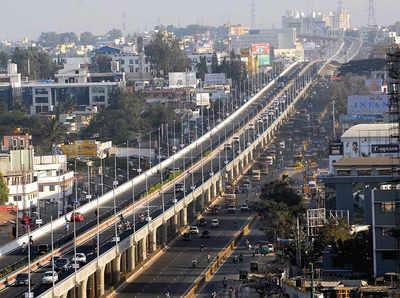 Hosur Road is a lengthy and efficacious four to eight-lane highway running through the National Highway 7. Beginning at the Vellara Junction on Richmond Road, it winds through Koramangala and Silk Board and runs all the way up to the border town of Attibele in the Krishnagiri district of Tamil Nadu. The ‘villages’ of Bommanahalli, Hebbagodi, Singasandra, Chandapura, and Attibele which once held the status of out-skirt suburbs, now fall within the developing belt of Hosur Road, bringing in growth, movement, and progress to these areas. The growth of Electronic City as a large IT hub within the city led to the development of Hosur Road as well, creating a brand new and highly equipped residential and commercial market. Although this area initially targeted professionals working in the IT/ITeS industry, its affordable property rates, continued development of infrastructure, and great connectivity has attracted hordes of people from a multitude of professions. Major IT companies, biotech firms, multispeciality hospitals and hotels flanking Hosur Road have turned the localities along its path into premier hubs of employment and residential living.